What's the deal with Gowther's concealed identity? All 7 of the deadly sins were once a team before. It seems Gowther is able to identify everyone on the team, so why isn't anyone able to identify Gowther? An additional question is why didn't Gowther reveal himself to the group sooner? I don't see why he would hide his presence from his closest allies. 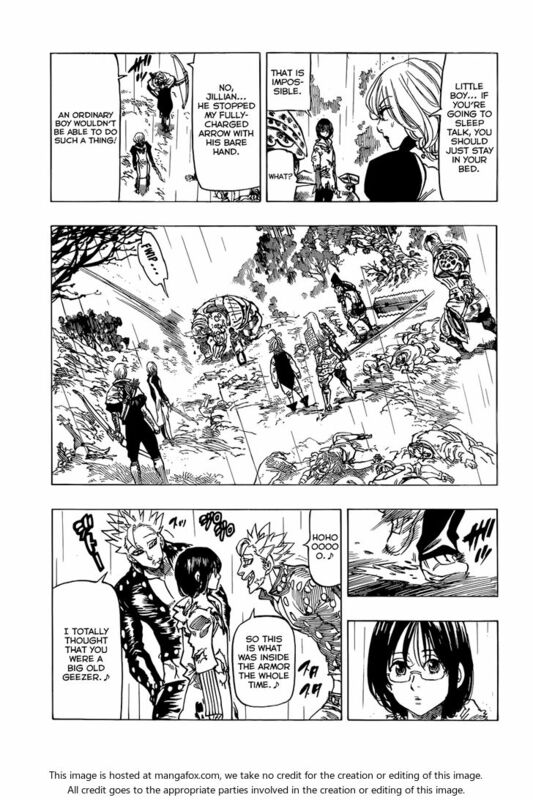 According to the story, the appearances of some of the Sins changed after all that time like Ban, King and Gowther himself (well, Ban did say that he didn't know how Gowther looked in the armor), and besides, since the guys knew about his armor, and since the monster was big and wearing the armor, they probably didn't gave it a second thought. As for the second question, it was because he was waiting for the Sniper (the guy with bow and arrow, for whom Ban went in the beginning), since that was an illusion, he was waiting for him to reveal himself. Merlin gives Gowther magic stabilizing pills in order to regrow his armor. and when Merlin uses her magic cancelling power, he turns into his "natural" form. It seems clear that his flesh grows due to his magic and, if stabilized for a time, it will grow into an armor. 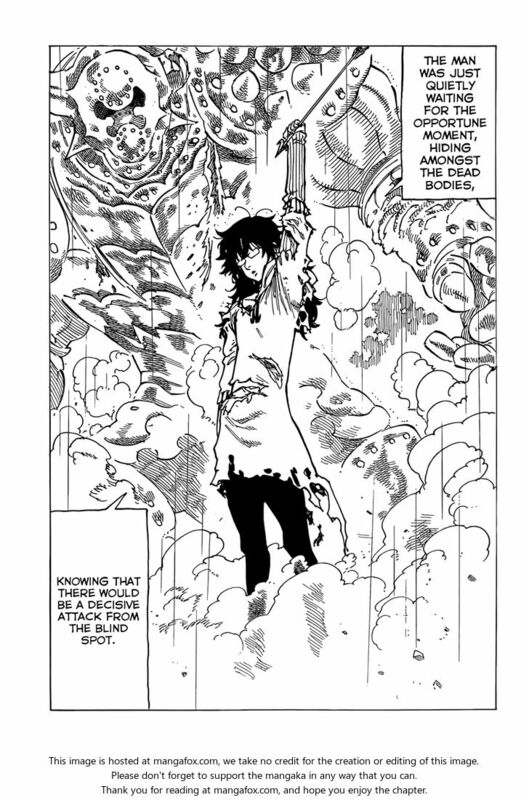 As the armor is part of Gowther, it is reasonable to think he never took it off. Who is the Seventh Sin? What is the relationship between the end of season one and the short season two? Which manga chapter correspond to the end of episode 13 of season 2 of the anime? Who is the Mother of Meliodas, Estarossa, and Zeldris?